The estate market in Scotland has had one of its quietest years in decades, but this hasn’t unduly ruffled any agents’ feathers, as Arabella Youens discovers. Throughout most of 2014, there has been very little activity in this sector of the market, with only four or five estate transactions against an average, over the past decade, of between 15 and 25. ‘We’re way down in terms of activity,’ says Mr McCulloch. It’s not surprising when you consider the triple whammy of factors that have cast doubt upon the wisdom of buying tracts in Scotland this year: land reform, the Referendum and, albeit to a lesser extent, the new tax to replace Stamp Duty. 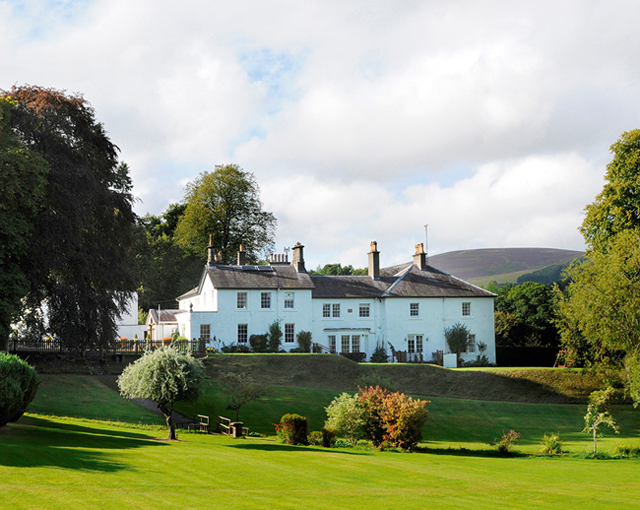 There’s been plenty of interest in 214-acre Elibank, Peeblesshire. £2.25 million through Strutt & Parker (0131–226 2500). The Referendum might have affected confidence and transactional activity, but it’s the Land Reform Review group, which was tasked with working out how people in Scotland can ‘have a stake in the ownership, governance, management and use of land’, and its final report—published in May, complete with 62 recommendations—that made some in the market shudder. Knight Frank’s Ran Morgan (0131– 222 9600), who heads up the Edinburgh office, is also upbeat. ‘The important thing to remember is that they don’t make them like they do in Scotland anywhere else. For some people, owning a stalking estate is something they’ve wanted to do all their lives, so, when the opportunity comes up, they’ll make the decision to go for it regardless.’ However, he allows that there has definitely been a pick up of interest in what he describes as ‘handy estates’, rather than ‘big, heavy- weight sporting estates, which come with lots of secure tenancies or crofting tenures’. Mr Morgan launched Achnacroish in Craigure on the Isle of Mull, which he believes is the ‘perfect stalking estate with minimum liabilities in the way of upkeep and maintenance’, in COUNTRY LIFE (August 6) with a guide price of £1.95 million. The 7,000-acre estate comes with two good trout lochs, wonderful stalking and west-coast sea views. ‘We’ve had interest from all over the place—local, English, American, German and French,’ he confirms. The Scottish Government’s proposed replacement of Stamp Duty with the new Land and Buildings Transaction Tax (LBTT) will take effect from April 1 next year. It received Royal Assent in the summer of 2013 and was not dependent on the outcome of the Scottish Referendum. However, the rates of the bands weren’t disclosed until October 9. The good news: Agents expect a rush of property to go through before April 1, which is good for those who are selling now. Also, because the new system is a marginal tax, anyone buying a property worth less than £320,000 will see their Stamp Duty payment reduced and homes worth less than £135,000— the average price of a Scottish property in the current market—won’t be liable for tax. The ok news: Farms and estates in Scotland will fall under the new rates as ‘non-residential’ purchases. The rate for these transactions is 4.5% for purchases above £350,000. ‘If you’re buying a tract of land for £1 million, you pay considerably less in tax than you would for a residential property,’ explains Mr Dudgeon.